President Obama yesterday congratulated his Colombian counterpart, Juan Miguel Santos, on the historic peace agreement with Farc. The guerillas, holding their 10th National Conference, (background here) celebrated with a mini-Woodstock. 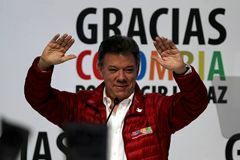 “It’s a strange mix of an internal consultative process about the peace accord … and a mini Farc Woodstock,” said Alex Fattal, an American anthropologist from the University of Pennsylvania studying the Farc’s media strategy. 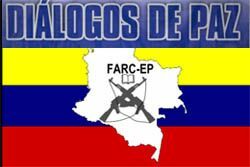 The peace talks between FARC and Colombia reached a new milestone this week, with a partial agreement on drug trafficking.